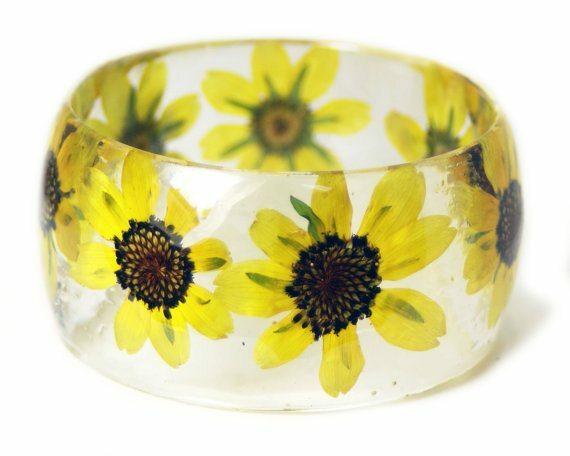 These gorgeous resin rings, bracelets, pendants and earrings celebrate nature by using a wide range of organic materials. 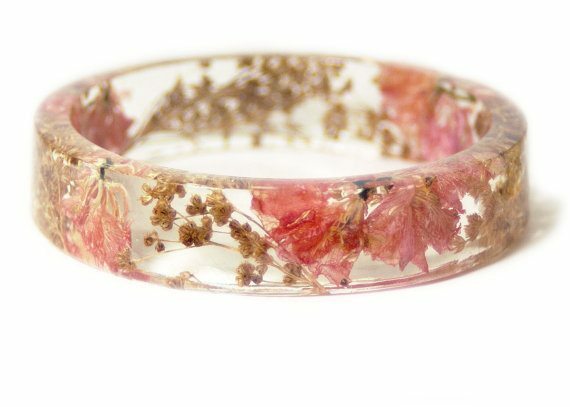 From flowers and grass to leaves and shells, they harness the beauty of nature and wrap it right around your finger (or wrist or neck, as the case may be). Each piece is unique and handmade by Oregon designer Sarah Smith of Modern Flower Child. She says that the intricate pieces can take two to three weeks to complete. Most of this time is spent waiting for the flowers to completely dry, which helps to guarantee that they hold those vibrant colors. These intricate pieces of jewelry can be found on Smith’s Etsy shop, and prices range from $42 to $49. The designer is also willing to create custom pieces from items that customers send in. What a brilliant way to preserve your wedding bouquet, leaves from a special tree or other bit of nature that’s significant to you! These rings, bracelets, pendants and earrings are much prettier than dry, dead flowers collecting dust in a vase. Plus, those old bouquets that you’re hanging onto will most likely eventually end up in the trash bin, but if you preserve some of the flowers in a piece of jewelry, you’ll be able to cherish them forever. 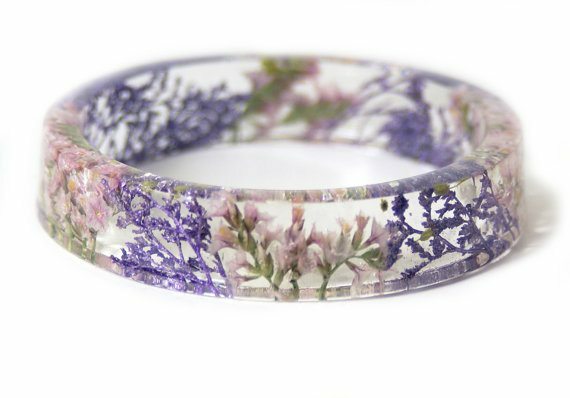 What a fun and feminine bracelet! This would make an incredibly unique gift for a friend or sister. Just try to feel sad with this bright yellow bracelet on your wrist! 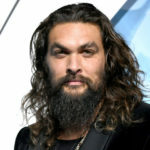 Doesn’t this make you happy just looking at it? 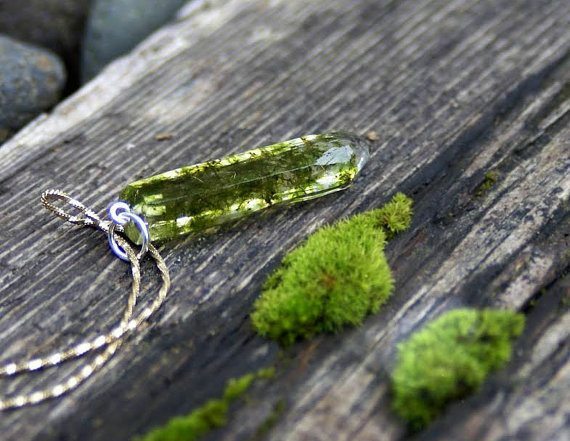 Nature lovers will gravitate toward this unique necklace made with real moss. 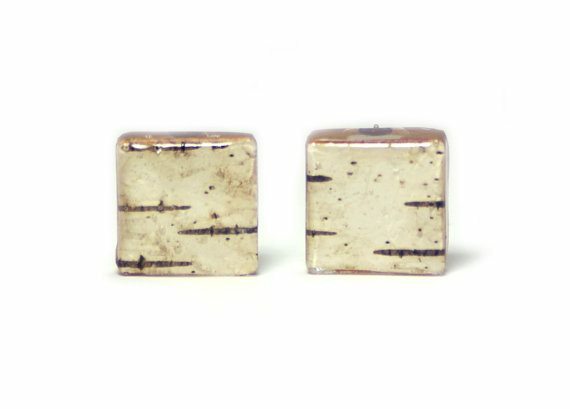 Sure, diamond studs are a classic, but for an earthier take on understated earnings, we love these birch bark studs.